I have always liked animals, nature, and of course, amphibians. Luckily my family shared this interest in nature, especially my father, with whom we would go to the highest peaks of Cochabamba or to the lowlands in the Bolivian Amazon. I think these trips encouraged me to become a biologist. 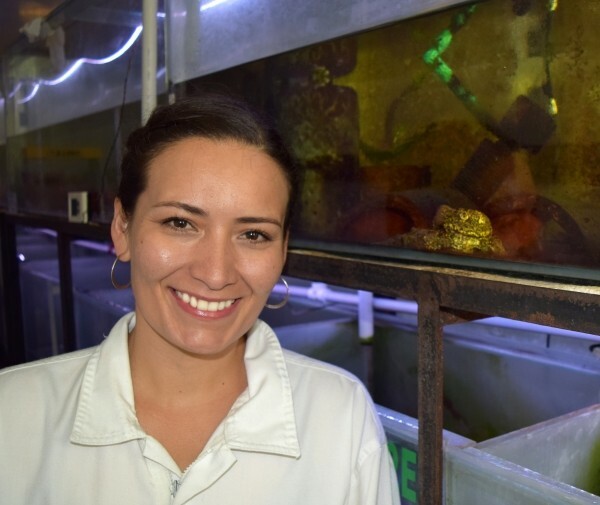 When I began my studies at the Universidad Mayor de San Simon, a great opportunity appeared – the Center for Biodiversity and Genetics (CBG) at the University needed research assistants to work in the field. I had no experience, and I was only in the third semester of my studies, and although I was one of the youngest students, I was able to be part of this project. At this point I found my way, I was fascinated by the wonders I saw outdoors, my country, and the diversity that we have. I became a “field biologist”, by performing hard but enjoyable activities like walking a day and a half to get to the far away communities at Isiboro Secure National Park, staying twenty days camping without any communication, and getting home with my body full of ticks. But for me, being in nature was wonderful. 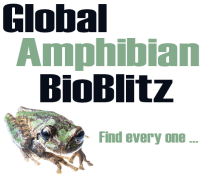 Together we will continue working for the benefit of the amphibian conservation of Bolivia. After finishing this project, I was hired as a research assistant at CBG, participating in several projects, initially with High Andean herpetofuna. At the end of my studies I was looking for a thesis subject, which I was hoping would be related to amphibians. Thanks to the project Conservation of Amphibians of Bosques yungueños of Bolivia with emphasis on Endangered Species at this same institution, I was able to document the population status, breeding phenology and activity patterns of two threatened amphibian species found only in cloud forests of Bolivia – the Quechua Toad (Rhinella quechua) – the species with the first record of chytrid fungus in Bolivia – and the Small Whistling Toad (Microkayla iatamasi). While looking for these species, I saw other unique amphibians, most of them in danger of extinction. At that time, I did not imagine that I would not see them again in the wild, as is the case with the first aquatic frog that I found in the field, the Sehuencas Water Frog (Telmatobius yuracare). After finishing my degree, I was an intern at the Amaru Zoo in the city of Cuenca, Ecuador. The internship was funded through the Disney Wildlife Conservation Fund and the Amphibian Conservation Program at the Philadelphia Zoo. During that work, I focused on a conservation program for Critically Endangered harlequin toads, marsupial frogs and poison dart frogs. I also helped to collect data on the natural history of these and other species, as well as monitoring the last remaining populations of the Mazán Green Jambato (Atelopus exiguus). This trip to Ecuador changed my way of looking at conservation, and when I obtained a scholarship from the Organization of American States (OAS), I knew I wanted to study in Ecuador. However, the university where I wanted to study was not part of the consortium of the OAS. In the end, my enthusiasm managed to convince them that it was the best option for me, and so I went to Ecuador. I got my Master’s degree in Conservation Biology at the Pontifical University of Ecuador in Quito. The Herpetology Division of the QCAZ Zoology Museum allowed me to do my research and travel much of Ecuador looking for frogs where we saw several threatened species such as Andersson’s Jambato (Atelopus palmatus) and the Pebas Stubfoot Toad (Atelopus spumarius). I made great friends and colleagues at this institution. After finishing my Master’s degree, I returned to Bolivia, and started working at the Alcide d’Orbigny Natural History Museum in the city of Cochabamba and I was soon designated as Chief of the herpetology department. The amphibian captive breeding center of the museum at that time was working only as a project, but now it is a research center called Centro K’ayra, which is the only one in Bolivia authorized by the Ministry of the Environment for the ex situ management of amphibians, with a license to operate as a Wildlife custody center. In the K’ayra center we currently have several species of the genus Telmatobius and will soon incorporate other species from other groups that are threatened and need our help. I have a great multidisciplinary team that includes biologists, veterinarians, environmental engineers and several volunteers from different careers and universities. 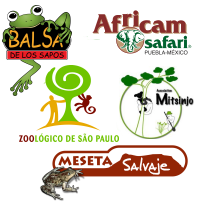 Together we will continue working for the benefit of the amphibian conservation of Bolivia.